On a mission in the Mission District. Mural Central! Murals are on just about every building in the Mission District. It’s a bright and colourful, if somewhat run-down part of the city. There are a cross-section of people living here, but it’s a predominantly Hispanic neighbourhood. There are a few homeless people on the streets and a few “crazies” or people down on their luck talking to themselves. Some of the alleyways have a strong aroma of urine, but over all we felt quite safe walking there and chatted to a few friendly locals along the way. We took the bus from 22nd and Iowa Streets in the Dogpatch to 24th and Bryant Streets in the Mission. Each bus ride costs $2.75 if you pay cash, or you can buy a “Clipper Card”, load it with money and use that on the buses, trains and trams at a discounted $2.50 per ride. The mission District got its name from the Roman Catholic Mission and Church – the oldest in San Francisco – which can be found on the corner of Dolores and 16th Streets. There is a suggested donation of $7 per adult to take a look inside the original mission building, the gorgeous church next door and the garden and cemetery…..end exit via the obligatory gift shop of course. Photos of the Mission and Church are below. But now, back to the murals. Our walk took us along 24th Street past Alley Cat Books – which of course we felt the need to explore – and purchase a couple of books. From there we went in and out of side streets and alleys until we turned into Valencia Street. We then followed Valencia all the way down to a small park sandwiched between 19th and 20th Streets. I chose this route because it took us past another two bookshops – Dogeared Books and Borderland’s Books…..but this post is meant to be about the murals. Almost opposite Alley Cat books is Balmy Alley which is literally wall to wall with murals so here are a few of our favourites. There’s even a motorbike that’s covered in paintings. Here are a few more of the murals from along our walk. Click on the individual photos to expand the photo. After trudging around the streets and alleys in search of murals, we needed a break to recharge our batteries in a nice green space known as Mission Dolores Park – often shortened to Dolores Park. Bounded by 18th and 20th Streets, we entered off 19th and climbed up the main pathway that divides the park in two. Boy was it steep! The park is very popular for locals and tourists and has views over the central business district. It’s also a popular hangout for the homeless so be on your guard. Most of them are harmless and only looking for somewhere to lay their heads for a while. We had prepared a picnic lunch, so sat on one of the many benches in the park, ate lunch, enjoyed the views, the occasional aroma of weed wafting by on the breeze and read our books. I will do a separate post about the bookshops in this area and books we bought. Weed, cannabis, marijuana – although still illegal in the USA by Federal law, IS legal in some states (including California) by State law – so plenty of people take advantage of that and use the park to get “mellow”. Here’s a few shots of the park to finish off this post. Potrero Hill (and books and bookshops). Heading west and up hill from the flatlands of the Dogpatch area is the mainly residential Potrero Hill which clings to the curves of the east facing hills, giving it a sunny disposition. The condition and quality of the homes here change with each street and sometimes with each cross street from swanky to shabby. Along with homes, this neighbourhood also has cafe’s and eateries and an interesting local music scene…..plus Christopher’s Bookshop which is on my “to visit” list. Historically a working class neighbourhood until the gentrification of the 1990’s – you’ll now find a mainly working-professional and upper-middle class, family-oriented scene. And talking of scenes, due to the elevated position you have a wonderful outlook over both the Bay and the financial district skyline. I guess I could have lumped Potrero Hill and the Dogpatch together as the Spanish name for the Dogpatch area was Potrero Nuevo, but as you saw from my earlier Dogpatch post there was enough happening there to warrant a post of its own. I’m not sure how much there will be here of interest from a tourist viewpoint as it is mainly residential and by San Franciscan standards very quiet…..but we’ll see. One benefit is that there is a Caltrain station here so that means easy access to and from the main city. When ever we visit cities anywhere in the world, we usually seek out the parks and open green spaces for a break from the hustle and bustle to give us a chance to recharge our internal batteries. Potrero Hill has a few such areas. Mckinley Square, popular with children and dog lovers and contains several levels of trails that make up the official off-leash dog area. The park is pretty much on the crest of Potrero Hill and since my blog is primarily about books and writers, has a literary connection. Part of Vanessa Diffenbaugh’s novel “The Language of Flowers” describes the park. Published in 2011 The language of Flowers is Diffenbaugh’s first published novel and is about Victoria Jones, an itinerant foster child who gets moved from home to home until at the age of 18 she becomes a flower arranger…..hence the title. According to Wikipedia, “The novel was inspired by a flower dictionary, a type of Victorian-era book which defines what different types of flowers mean”. It’s also love story, which is why I won’t be reading it, but for those who enjoy love stories with a heavy accent on flowers and their meanings…it is most likely a good read. In fact Goodreads (did you see what I did there??? Lol) rates it at four and a bit out of five and says “A mesmerizing, moving, and elegantly written debut novel, The Language of Flowers beautifully weaves past and present, creating a vivid portrait of an unforgettable woman whose gift for flowers helps her change the lives of others even as she struggles to overcome her own troubled past”. Around the corner from McKinley Square you’ll find Potrero Hill Community Garden which was established in the 1970s and has a panoramic view of the city. About 10 minutes walk from the Community Gardens is Potrero Hill Recreation Center. Renovated in 2011 – here you’ll find a baseball field, a tennis court, a basketball court, and another dog park. It seems like Potrero Hill residents love their dogs. Likewise, the Jackson Playground at the North Slope also has a baseball field, a tennis court, and a basketball court. And another loosely literary connection…there is a public library which was renovated in 2010 and is located on 20th St. and Connecticut St. So what else other than homes and parks does Potrero Hill have to offer, I hear you ask? The answer is….not a lot. It’s mainly a residential area with a few shops and cafes to service the locals – which actually makes it quite a good place to visit….WHY? – no tourists and no crowds. From our son and daughter-in-laws apartment, the closest mini-markets within walking distance, of any note – mainly Whole Foods and Trader Joe’s are in or along the edge of Potrero Hill so we have ventured into this area quite a few times since our arrival almost a week ago. To get to Christopher’s Book Store means a steep-ish climb from the Dogpatch up 18th Street to the corner of 18th and Missouri, where you will find a lovely little shop (open every day 10am to 9pm) on the corner with a good variety of stock and a knowledgeable lady owner. The original owner “Christopher” who opened the store in 1991 has a New Zealand connection. Christopher Ellison was from Te Kauwhata (not too far from Hamilton, New Zealand) a very small town of just over 1000 people – serving an outlying area of maybe 10,000 people. He decided that what the Potrero Hill area of San Francisco needed was an independent bookshop. The current owner – Tee Minot – started off working for Christopher back in 1992 and has been here ever since, taking over sole ownership of the shop in 1996. As you would expect of someone who has owned a bookshop for over 20 years, Tee is very knowledgeable about her stock and the area of San Francisco that her shop is based. The only thing I could even begin to be negative about this shop is that it’s not big enough to have a dedicated reading area. There are just 3 aisles of books – but a good selection. Tee herself said she wished that there was room for a couple of couches in there – sadly there isn’t – otherwise this shop would be just about perfect. I can buy books cheaper on line but, as I may have mentioned in earlier blog posts, I prefer to support the bricks and mortar establishments – particularly independents – when ever I can. Visiting San Francisco, I wanted to buy a book or two either by San Franciscan writers or featuring stories set in San Francisco. With this in mind, Tee recommended several books/writers and I selected two of them – Rebecca Solnit’s “Call Them by Their True Names” – American Crises (and Essays) printed in 2018 and which I have just started reading. Solnit, although born in Connecticut in 1961, moved to California when just a girl where she was educated from kindergarten to graduate school. She’s been an “independent writer” since 1988 and has published over twenty books covering everything from Feminism, History, Politics and Power, Social Problems, Travel, Insurrection, Hope and Disaster. This book however is a series of essays about, as she says, “the war at home” – referring to social injustice, climate change, domestic violence and of course the travesty that is Trump. The people at Goodreads rate this book as a 4 out of 5. I’m only about 20 pages in so far but she writes well – informs rather than preaches – so I will no doubt enjoy it. 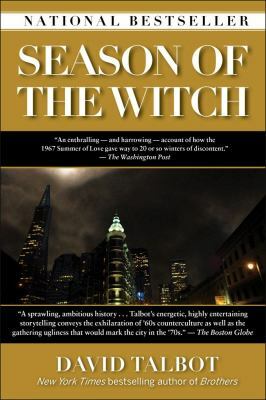 The second of my book selections from Christopher’s is David Talbot’s “Season of the Witch”. Which according to the cover “tells the story of San Francisco in the turbulent years between 1967 and 1982 – and of the extraordinary men and women who led to the city’s ultimate rebirth and triumph”. According to the Washington Post “An enthralling and harrowing account of how the 1967 Summer of Love gave way to 20 or so winters of discontent”. So it should be a good read – at over 400 pages I am going to have to set aside some serious reading time for this one. Talbot was born and raised in Los Angeles, but now lives and works here in San Francisco. He specializes in “hidden histories” where his journalistic training is put to good use. It scores a high 4 and a quarter on Goodreads but has been criticized for it’s racially singular accounts – being told by a white man basically from a white viewpoint about predominantly white people. I’ll keep an open mind when I eventually get to read it. 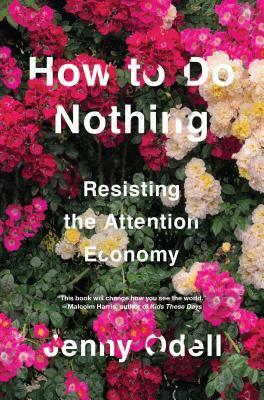 My wife Liz bought Jenny Odell’s “How to do Nothing” subtitled “Resisting the Attention Economy”. Unlike my two paperbacks, this is a very nice hard cover book with a colourful dust cover. Odell is another local writer, being based just over the bridge in Oakland. Again this book is a 4 plus rating on Goodreads. “This thrilling critique of the forces vying for our attention re-defines what we think of as productivity, shows us a new way to connect with our environment and reveals all that we’ve been too distracted to see about our selves and our world”. Where better to sit and peruse our new purchases than just over the road and slightly down the hill at Farley’s Coffee. Farley’s have really good coffee, by the way, so if you’re in the area you’ll be doing yourself a favour by calling in for a cup. The prices are much cheaper than in the tourist parts of the city too – a win / win situation. And the barista’s there are friendly and very good at what they do. There are tables inside where you can sit and work / browse your laptop, or enjoy a bite to eat from their menu. We chose to sit outside in the sunshine beneath the Bottlebrush trees, sip coffee and read. This little seating area is right outside Farley’s door but is actually a kind of mini public park….or “parkette” if you like…where anyone can sit and while away a few minutes of a few hours, with or without a purchase from Farley’s. Just a block further up the street from Christopher’s – which is quite a steep climb – there are some nice views of the city from this lofty vantage point on 19th Street. Later on in the morning, passing the back of the library, the shutter doors were open revealing an area dedicated to selling used books – either ex library books, or donated by members of the public. Every book regardless of size, type or condition costs a mere $1. What a bargain. AND never being one to pass up a bargain I bought 4….and my wife bought 2. Our suitcases will be right up to that 23 kilo limit by the time we’ve finished buying books. My picks were – Randy Shilts “The Mayor of Castro Street” about the life and times of Harvey Milk. A book of Essays edited by Jennifer Lee by American writers about their experiences in Paris – “Paris in Mind”. A pictorial feast of a book “Gertrude Stein in words and pictures” and my final selection was ironically by a guy who lives and works in my town of birth – Sheffield called Simon Armitage “Walking Home” subtitled “A Poets Journey”, which is about is attempt to walk the Pennine Way (the backbone of England). My wife’s books were a paperback by Marianne Williamson’s “Healing the Soul of America”, and a cookbook by Terry Walters called “Clean Food”which is a nice quality hard cover book. I’ll leave you with a few more photos of buildings that caught my eye – this time showing the bottom of the hill, back on the flat easy walking streets….and I’ll throw in another shot or maybe two of Christopher’s Books for good measure, since it’s such a great little shop. Next post will be of the Mission District Murals. The Dogpatch – no longer a dog of a place. This is the first of what will surely turn out to be many posts about the City of San Francisco featuring photos and hopefully interesting information taken/collected by me and my wife on our recent visit to this amazing city. I have been here before, firstly in 1986 and more recently in 2012. Now that our son and daughter-in-law have moved here and SF is their new home town, we’ll no doubt be visiting more often. I hope so anyhow. Why choose the Dogpatch as my first area to blog about here in this very interesting and beautiful city? It’s where my son and daughter-in-law live, and where we’re staying, so it makes it a natural start point for our investigation of the city. So let’s have a quick look at the history of the Dogpatch and that of San Francisco its self. The first people to live and hunt in and around this area were the native American tribes – Miwok, Wintun and Wappo. This was prior to San Francisco and indeed most of California being under Mexican control from the early 1700’s until after the Mexican-American War, which ended in 1848, when Mexico ceded California to the Americans. Two years later in 1850 it became part of the Union. It wasn’t until 1847 that San Francisco came into being – before that it was called Yerba Buena by the Spanish and Mexican settlers. So I guess that when Mr Trump talks of throwing the Mexicans out of “our country”, he’s overlooking the fact that the Mexicans were here before the USA officially existed and so, the USA kicked the Mexicans out of what was part of THEIR country…(Independence day wasn’t until 4th July 1776)….and before California became part of the USA (1850). But he’s still hell bent on building his wall. So, why call this area Dogpatch? Truth is no one is quite sure and there are several thoughts….1) The area was originally covered in a plant called Dogfennel….2) The area had slaughterhouses and so used to attract packs of dogs searching out scraps of meat and offal….and 3) It was named after Dogpatch, the fictional middle-of-nowhere setting of cartoonist Al Capp’s classic comic strip, Li’l Abner (1934–1977)…..Dogpatch is also a colloquialism describing an under developed backwater, which I guess San Francisco’s Dogpatch was. It was an area mostly taken up by warehouses, industry and shipyards. Part of the land here used to be marsh and has been reclaimed. Only the poorest of workers used to live here by choice as it was a very low rated, low rent area. This later attracted the “art community” so set up studios here, in old warehouses, which in turn brought the “hip” and “trendy” who converted warehouse space to fashionable lofts. It’s now an up and coming neighbourhood but still has the benefit of slightly lower than normal San Francisco property prices and rents…..but it’s catching up fast! There was little redevelopment up until quite recently, as this was one of few areas to escape damage from the huge 7.9 San Francisco earthquake of 1906 so, from an historical viewpoint, the architecture is worth checking out. Within a few blocks of where we are staying there are bars, cafes, art galleries, breweries, the waterfront and of course dog parks…..San Franciscans just love their dogs. There are a lot around, all being pampered and well loved by their mostly apartment dwelling owners – maybe another reason why this is called the Dogpatch? We’ll start with the two breweries we have called into so far. The first of which was Triple Voodoo Brewery on 3rd Street, who have a rotation of 16 boutique beers on tap – and are dog friendly (the brewery, not the beer), what would you expect here in the Dogpatch? They offer a flight of beers to taste – you can have a flight of 4 or of 6 of beers of your choice from their menu. Or you can have a glass of beer served in a choice of glass size and this is reflected in the price. My wife and son both opted for a glass of Czech style “Anxiety Pils” where as I opted for a flight of 4 consisting of – “Inception” – a Belgian style golden strong beer of 8% alcohol rating, which was one of the nicest tasting beers I have had for a long time. Strong but smooth and very drinkable. Next up was “Season of the Boch” described as SF Giants IPA. SF Giants are the local Baseball team and this is a big hitting 7% IPA with very nice fruity citrus notes. If I hadn’t already tried the “Inception” I would have been totally won over by this beer. Next came “Summerwood” described by the brewer as Grisette aged on wood – it’s brewed using the “wort” from pressed grapes. This was my least favourite beer – and at 4.5% the weakest – as I just didn’t care for the taste at all. Call me weird if you like, but as far as I am concerned, grapes are for making wine, not beer. My 4th and final beer was “Corpse Paint” – described as a black common lager – at 5.3% alcohol it’s a nice seasonal dark beer with flavours bordering on a stout but without the heaviness. The brewer says it’s his favourite and I can see why….but for me it came in at number 3. Back home in NZ, MOA brew a very similar product…..equally tasty. Anyhow, below is a photo of my, already partially sampled, flight of four. The flight was priced at $11 and the small glasses of beer at $5 each but the very nice lady bar teller only charged us $17 all up….so got a nice $3 tip. We win and she wins. The other brewery we tried was Harmonic Breweries on 26th Street – just a few blocks down the street. Walking distance there and staggering distance back! Here they also offer tasting flights, but instead I opted for a full sized glass of beer and tried the “Harmonic Kölsch”. I had no idea what a Kölsch was so thought I’d try it. According to Wiki – Kölsch is a style of beer first brewed in Cologne, Germany. It is unusual because although it is warm fermented with ale yeast, it is then conditioned at cold temperatures like a lager. It’s a 5.8% lager and is a smooth easy drink…..maybe a little too easy! My second beer here I went for an oatmeal stout – “Cold-Press Stout” – at 5.3% it still tasted full bodied enough to be a stout, but I thought it was fairly similar to the “Corpse Paint” I’d tried at Triple Voodoo, and that was a black lager, not a stout. Harmonic is another Dogpatch, dog friendly brewery and there were a couple of dogs sitting patiently under the tables while their owners imbibed and even one at the bar hoisted on its owners shoulders. I’m not sure what the prices were as my son and daughter-in-law kindly bought the beers. Just 8 minutes walk away at 1275 Minnesota Street is the “Minnesota Street Project” – a collection of 13 art galleries in a warehouse space. The galleries are spread over 2 floors and are of various size and content with a large open space in the middle of the building which is very industrial like. Art of course, like beauty, is in the eye of the beholder and I’ll be honest about this – there are somethings that people call art that I just don’t get at all. For example the short videos where nothing at all happens, or you get flickering light across the video screen so you can’t really see what’s going on. Conversely I really enjoyed visiting the Rena Bransten Gallery which featured, in one room, paintings by Lawrence Ferlinghetti in celebration of his 100th birthday. Ferlinghetti is best known as a poet of the beat generation and also as a publisher and owner/founder of City Lights Bookstore. His paintings are somewhat childlike but I still enjoyed them. In the other room was a display of photos – all but one in black and white and the centre photo on the walls was in colour – by photographer Louis Stettner (1922-2016). Coinciding with the San Francisco Museum of Modern Art’s retrospective Louis Stettner: Traveling Light, curated by Clément Cheroux’s, the works in this exhibition represent fifty years of Stettner’s prolific career and illustrate many of his most frequented subjects: people in pairs, workers, bodies in transit and rest, and cityscapes. Again, art is in the eye of the beholder and I am a photography nut so loved this exhibition. The photos below show the outside of the gallery building – as I said it’s very industrial both outside and on the second photo showing the open space in between the galleries. The individual galleries are either side of this open area over two floors. The third photo is of my wife standing outside the Rena Bransten gallery with one of Lawrence Ferlinghetti’s paintings on the wall behind. Scattered through a number of the galleries were works of Iranian artists now living in the USA. Many of the designs look like Persian carpets and are offered in a variety of colours – for example with an emphasis on the colour yellow or the same picture but in the colour red. They are quite beautiful. The galleries are free to visit as they are there to promote the artists and to sell their wares. Some of the gallery staff are more friendly and welcoming than others. As you can see it looks like a cross between Centaur meets the Terminator. I quite like it. Just to round off our Dogpatch experience this far I should also mention Piccino restaurant just around the corner from the apartment on the corner of Minnesota and 22nd streets. It’s located in an old weatherboard building painted bright yellow on the outside, but with an open and modern interior. It’s obviously THE place to be around here as it was very popular on the evening that we dined there. The food was divine. I am usually a very predictable eater in that I know what I like and usually stick to it. BUT for once, encouraged by my son and daughter-in-law I decided to try a few things that I wouldn’t normally try and much to my delight, enjoyed everything put in front of me…..including the raw fish and the cooked octopus. The food is presented on shared plates so it’s easy to try different things. The highlights in my opinion were the Octopus (which was far from the rubbery experience I expected), the Short Rib (that was melt in the mouth delicious) and my dessert – which the menu describes as “zeppole, huckleberry, white chocolate pudding”. I had no idea what zeppole or huckleberries were but was attracted by the white chocolate pudding. It was a taste sensation of light and fluffy mini-doughnut like balls of yumminess with the semi-sharp, semi-sweet fruity berries and the smooth creaminess of the white chocolate pudding. The wine list is what I would describe as being on the expensive side, but accompanied the food perfectly. The staff there are knowledgeable about the food and wines on offer and very attentive. And of course the company my son and daughter-in-law, plus my lovely wife made for a wonderful evening. Sorry – no photos of the food or the restaurant – I was too busy eating! Next up is our “Mission” to find murals in the very colourful Mission District. Movies we keep coming back for. I guess we all have our favourite movies – you know the ones we’re able to watch time and time again without becoming bored with them. What’s your favourite? Let me know in the comments section at the end of this post. One of our favourites is without a doubt THE WAY – written, produced, directed and co-starring Emilio Estevez, with his father Martin Sheen in the lead role wonderfully supported by Deborah Kara Unger, James Nesbitt and Yorick van Wageningen. Other extended family members of the Estevez clan get minor roles making it a real family affair. Although the movie starts off in California, 95% of it is filmed on location in south west France and northern Spain. It’s worth watching for the scenery alone, but the main story line and the back stories of the characters that become apparent along the way, and indeed along THE WAY, is what makes me and my wife watch this movie on a regular basis. If ever we need to be reminded about what’s good about life….on goes the DVD. It’s definitely a feel good movie – even though Estevez’s character is killed off very early on in an accident in the Pyrenees while hiking “The Way of St. James” – also known as the Camino de Santiago – from St Jean Pied de Port, France to it’s destination at the Cathedral in Santiago de Compostela, Spain, the final resting place of the earthly remains of St James – one of the apostles of Jesus. In the story, Sheen and Estevez – real life father and son – play father and son. The father being a successful dentist in California and the son breaking the news to his father that he no longer wants to pursue his doctorate at university but instead wants to experience life on the road, travelling the world. We can assume from earlier exchanges between the two that there is some friction between them and they haven’t seen eye to eye since the death of Estevez’s mother – Sheen’s wife some years earlier. Sheen takes Estevez to the airport to see him off on his flight to Europe and there is still tension between them when they part. Sheen’s character says to his son something along the lines of “You may not think much of my life, but it’s the life I chose” – referring to his weekdays as a dentist and his weekends spent playing golf. His sons come back to this remark is “You don’t choose a life Dad, you live one” – meaning that there is a whole world out there to discover and to feel alive in. Jump forward a few weeks. Sheen, whilst on the golf course with his other Dr buddies receives a phone call from a police inspector in France who tells him that his son is dead. Killed in an accident. Sheen shocked, puts his business on hold, for a week, and sets off for France to bring back his sons body. “So what’s so feel good about that?” I hear you ask. I am getting to it, really I am. Sheen’s initial plan is to fly to France, identify the body and bring it straight back to the USA, but once there at the foot of the Pyrenees, at night in his hotel room going through his dead sons belongings, he has a sort of epiphany and decides instead to have his son cremated and to complete the hike on his sons behalf, taking the ashes along the way. He contacts his secretary at his practice and tells her he’s going to be a little longer and to delay all appointments for a month. This delay gets longer and longer as the movie progresses. They filmed the movie over 40 consecutive days along the Way – with the movies characters walking along side regular people also completing the long hike. Sheen discreetly leaves little piles of his sons ashes at points along the 800 kilometre (500 mile) hike. It’s the things he sees and does along the way and the people he meets and interacts with….and the way his character softens and mellows that brings the feelgood factor. He has a major shift in attitude and about what’s important about life in general. Apart from the main characters, the majority of the extras in the film are simply tourists and travelers out doing the hike for themselves. Sheen’s character is tested a number of times along the way especially when he almost loses his sons ashes….twice, but under very different circumstances. Has trouble with gypsies, almost drowns in a river and has serious doubts about his religious beliefs. He also spends a night in police cells. His patience is tested by his other supporting actors characters as they attempt to find out why it is that Sheen is doing the hike in the first place. But by the end, this ramshackle group of individuals, who would have never met in their “normal” lives become a tight band of friends. That’s not a spoiler by the way. It’s how the story and characters develop that is so interesting and heart warming. The very end is also quite unexpected and very uplifting – (I think so anyhow). If you haven’t seen it yet, here is a trailer for the movie to whet your appetite. And don’t forget to leave a comment and tell me what movie you can watch over and over without becoming tired of it. Thank you and goodbye until next time. Like a Phoenix from the Ashes…. Just as “Man” can be destructive to nature, so can nature show its destructive powers. Such an incident was the 1931 Hawke’s Bay earthquake. The 7.8 quake struck at 10.47am on 3rd February 1931. The epicentre was 15 kilometres (just over 9 miles) to the north of the city of Napier and occurred at a depth of 20 kilometres (about 12 miles). Many buildings in the central business district of both Napier and its sister city Hastings collapsed immediately. The brick built facades of others fell into the streets killing and injuring passers by. Railway lines and tram lines buckled and bent like plastic. A total of 256 lives were lost and thousands were injured – most loss of lives occurred in Napier, with about a 3rd in Hastings. Nerves of locals were shredded by over 500 aftershocks within two weeks of the initial quake. The last recorded aftershock attributed to the February 1931 quake occurred in April 1934 (over 3 years later!). At 5.6 on the Richter Scale it was still a nasty and powerful reminder of the earths destructive powers. It remains New Zealand’s worst natural disaster. Timber buildings, of which there were many, survived the initial quake but fell victim to fires which broke out soon after, leaving both cities looking like war zones. In Hastings, fire crews managed to control the fires, but in Napier they were not so fortunate. Because water pipes had been ruptured by the quake there was no water pressure and so no way to fight the fires, which raged unchecked. The destructive force of the quake was also a creative force – uplifting some forty square kilometres of sea bed to become dry land – draining the Ahuriri Lagoon. This is now where the Hawke’s Bay regional airport stands. The New Zealand Listener Magazine in 1941 (ten years after the devastating earthquake) was quoted as saying that “Napier had risen from the ashes like a phoenix”. It quoted the 1931 principal of Napier Girls’ High School as saying “Napier today is a far lovelier city than it was before”. This was primarily thanks to the efforts of government appointed commissioners John Barton and Lachlan Bain Campbell who were sent to Napier to assist the Napier City Council in the rebuild. A review of building standards was also commissioned which found that many of New Zealand’s buildings were totally inadequate. As a result, most building of the 30’s and 40’s were heavily reinforced. Of course those standards have been surpassed several times since then. During this time Art Deco architecture was all the rage and because the old city had been completely flattened, Napier (and parts of Hastings) were built primarily in this style – along with Spanish Mission architecture. The preservation of these Art Deco architectural wonders all in the one locale has earned Napier the title of Art Deco Jewel of the Southern Hemisphere, and attracts tourists and Art Deco enthusiasts from around the world. This is particularly noticeable during the annual Art Deco Weekend Celebrations – which take place on the 3rd weekend of February to mark the beginning of the rebuild and rebirth of this Art Deco jewel – when the streets are jam packed with revelers wearing their best 1920’s and 1930’s costumes, hundreds of vintage cars and party-goers dancing in front of the Sound Shell on Marine Parade to the sounds of big band jazz music. There are hundreds of events taking place over the days leading up to the weekend and over the weekend – some are official – organised through the Art Deco Society and some are unofficial. These include fly pasts and aerobatic displays, steam train rides, a parade of vintage cars, marching bands, theatre, music, costume competitions, old movies at the cinemas, soap-box derby for the kids, dances, guided art deco tours, lots of feasting and partying and so much more. BUT if you’re planning on a visit….book early as accommodation can be scarce. I’ll leave you with some of my own photos of the annual Napier Art Deco Celebrations. As usual, any comments are very much appreciated and will be replied to as soon as possible.